Services | Jenkinson Antiques - an ever changing cabinet of curiosities! We arrange sales by private treaty or auction. Our experience enables us to place items in the most appropriate sales environment for your maximum return. Are you looking for a special item? Let us know and we will try to find it for you. We have exported containers of goods to the United Kingdom and the United States of America and arranged freight or postage to many parts of the world. All items are professionally packed and, wherever possible, environmentally sustainable packing materials will be used. Fragile items are expertly crated. We will assist you by suggesting the best and most appropriate delivery service to suit your needs. Insurance and registered delivery can be arranged as required. Orders will be promptly dispatched once payments have been received in full. We will provide an estimated delivery date for goods but this may vary due to circumstances beyond our control (eg customs etc). PayPal is the secure way to pay online without having to disclose your financial information. PayPal payments can be funded from your bank account or debit/credit cards. Please contact us by phone or email to discuss your purchase. Do you have an antique that you wish to know more about? We produce high quality brochures that describe specific objects in some detail, so that clients may have a comprehensive document that “fills the gap” in their knowledge. For example, a recent commission was to produce a document that described the Prince Alfred College cast iron fountain and outlined the history of the firm Handyside & Co who made it in circa 1875. 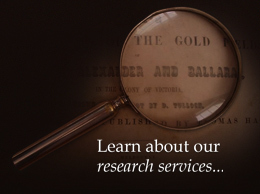 We offer a comprehensive research service that documents in detail the object itself, its history and social significance, presented in a fully illustrated, bound folder with CD copy included. Valuations can be arranged upon request.